Make purchase online. You will print out your Coupon Voucher and bring in to redeem at Dr. Baker's Office at 2255 N. University Prkwy #3. 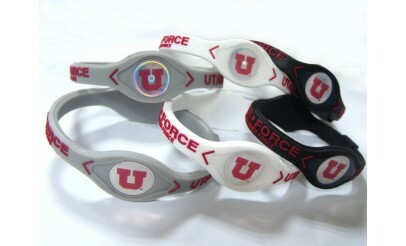 This is for one "Utes" Hologram Bracelet. We make no claims of benefits. Rather we only offer the bracelet as a fashion accessory. Valid through: Mar 31, 2012. See the terms that apply to all deals. We also have no logo bracelets in many colors. Some people claim benefits are clear: faster synaptic response (brain function), enhanced muscle response (in both fast and slow twitch tissues), increased stamina (better oxygen uptake and recovery), more flexibility (faster recovery) and vastly improved gravitational balance. Hologram bracelet are the new way to Balance your Body. Do you have all the great colors? Or how about the right LOGO?